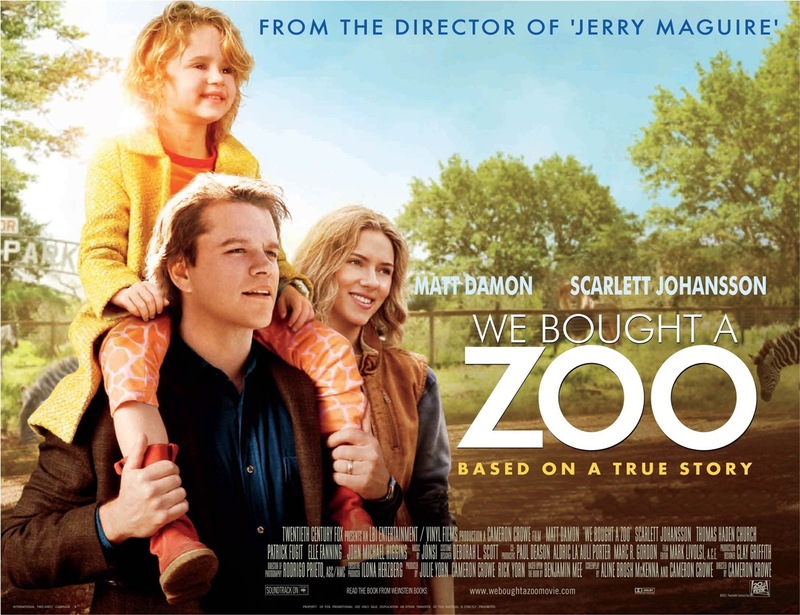 For our Christmas special we’ve gone with Cameron Crowe’s (JERRY MAGUIRE) story of a young widower (Matt Damon) as he begins a new life with his children in a rundown house…with a zoo attached. Scarlett Johansson supplies romantic interest, and the film is inspired by a remarkable true story (originally set in Dartmoor). It promises a bit of festive fun for all ages! This early afternoon performance (doors at 3.30pm, film starts 4.00pm) will be topped and tailed by some good old-fashioned Christmas socialising over mince pies, mulled wine, our usual selection of delicious ices and a chocolate fountain. (Don’t worry, the diet can wait until the New Year). In addition, the Fox & Hounds is offering soup and a turkey roll before the screening if you fancy making an afternoon of it (please let Sue and John know in advance if you’re interested in the lunchtime offer). With this performance we’re delighted to support two charities close to our hearts locally: the Cerys Potter Foundation and Dreams & Wishes. All profits from ticket sales and refreshments will be donated to these excellent causes.